Character Development – How do they behave at parties? 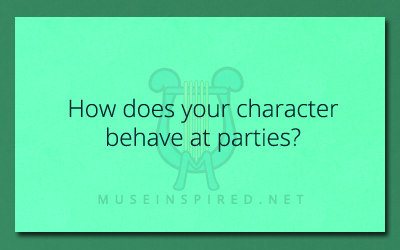 How does your character behave at parties? Character Development - Can your character dance? Character Development - How easy or difficult is it for your character to forgive?